If you are confused about how to apply for Australia Permanent Residency (PR), then you must know one thing, and that is – it is a straightforward process. Australia has made sure in every way to keep the process friendly and has created several categories in which you can apply for the Australia immigration Visa. To be eligible for Australia Permanent Residency, the applicant has to go through a unique system known as the point-based immigration system. 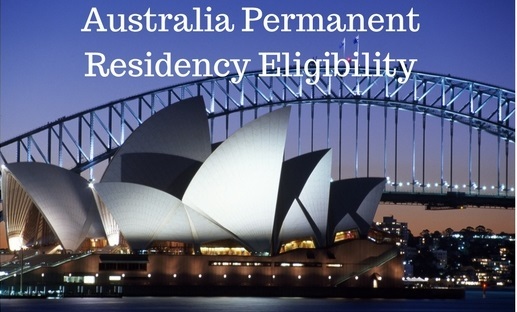 Read on to find more about acquiring Permanent Residency in Australia. Steps for Gaining Australia Permanent Residency? As you can evidently understand from itself, you will fall into this category if you have a family member who is an existing citizen of Australia. These type of migrant visas are useful in case of partners, which means you must be either in a de-facto relationship with that person or be married to him or her. But under this, you will get a temporary visa with which you can stay and work in Australia until the time any decision is taken regarding your Australia permanent residency. These type of migrant visas are also applicable if you have a fiancée who is a citizen of Australia. But with that, you will get a Prospective Marriage Visa after which you can come to Australia and marry that person and then get a visa for Australia Permanent Residency. If you are below the age of 25 years and your parents are citizens of Australia, then you too can come to Australia and get a permanent Residency with the help of the child visa. There are also specific dependant visas which apply to the family members of a person who has come to Australia from a worker visa. Being in the worker category, you will have numerous choices of visas for Australia Permanent Residency. If any Australian employer is ready to sponsor your work in Australia, then you can get the temporary work visa. With this subclass visa, you can stay in the country for up to four years. An added advantage you can also bring your family there. There is a separate program which goes by the name of General Skilled Migration (GSM) program which is very helpful for those seeking Australia Permanent Residency but doesn’t have any employer sponsoring their work despite the fact that they are highly skilled. Australia has another program for skilled workers which is called SkillSelect. This particular program makes the perfect match between the workers and employers. If you are a worker with skills which an Australian employer is direly in need of, you can get Australia Permanent Residency through this category. There are separate systems for granting Australia Permanent residency visas to doctors and nurses. a. You need to have a valid passport. If you have any depended applicants, then they also need to have their respective passports ready for the immigration process. c. Those who are applying for Australia Permanent Residency under the skilled category. You need to provide the report of your skill assessment, and a relevant authority should have done the evaluation. d. You must also keep a few recent Passport size photographs handy. e. A copy of your birth certificate is a must. f. If you are a married applicant, then you will also have to carry your marriage certificate and its copy. g. You will have to show the copies of your qualifications. You should keep copies of your courses too. h. If you are applying for Australia Permanent Residency under the category that you are in a de facto relationship, then you will have to show the proof that you are in it for at least a year. i. If you are widowed or divorced, then you will have to show the essential documents as proof. It can be valid divorce papers or death certificate. j. If you are applying under the worker’s category, then you will have to submit your past employee reference which will serve as evidence for skilled employment. k. If the child is under 18 years of age and one of its parents is not present in the application form, then you will have to provide an evidence of parental custody. l. There are specific health and character requirements that the applicant has to meet. Police Clearance Certificate is needed to check applicant’s character. The reports of health checkup for ensuring you are in good health. m. If there are children present in the application for Australia Permanent Residency, then all of their birth certificates need to be provided. n. When you take the point test at the time of submission of the Expression of Interest or EOI, you will get your score. At the time of application, you need to show evidence of the score you got. o. Last but not the least, you must not forget to attach the application form that you will have to fill according to your category of Australia Permanent Residency. Now, if you think why all these documents are necessary, then you must keep in mind that if you miss even one of these papers, then it can lead to cancellation of your application or extend the Australian PR process time. • After you have chosen your visa and gathered all the documents, and if you are applying under the worker’s category, then you need to select your particular skill from the skilled occupation list or SOL. • Next, you have to refer to the point based system. For that, the SkillSelect program is beneficial. All you have to do is submit your Expression of Interest to them and fill all the details in your profile. You have to keep in mind that you have to score a minimum of 60 points to fulfill the Australia PR eligibility. But yes, the higher your score will be, the higher will be your chance to get Australia Permanent Residency. • After you have done these things successfully, you will have to undergo a character verification process and medical examination. • Then you just have to wait for the decision on your application. The period is usually of 60 days. What is the process of getting Australia Permanent Residency from India? So, if you are from India, planning to get Australia Permanent Residency. Firstly you should place your application under any of the categories as mentioned by DIBP or Department of Immigration and Border Protection. If you want to clear all the hurdles. You should visit the office of the Australia High Commission located in New Delhi. They will guide you through the entire application process, according to the Australia PR points calculator. They will see whether you have Australia PR eligibility or not. If you are facing any problem with your application process, then you should get in touch with Immigration consultant at once. The principal advantages of reaching out to the MARA enrolled agents include help in the case study. They will study your entire application and guide you towards the path that is best suited for your case. They will provide you assistance in the whole documentation process too. It will ensure that you have all the necessary documents in place. They will pre-assess your application. Let you know whether you are eligible or not and also help you to improve your application process. So that you can get higher points and selected for Australia Permanent Residency. Mara Agents also help in drafting the letter and rebuilding resumes. They, in fact, provide help in filling up of the application form too. If you have a refusal case for permanent residency, then Mara agents will assess your case and guide you in such a way that your application is not rejected the next time. They will also provide help with international admissions. • You will have to either live or work in Australia for at least two years or even more. Until this time you will have to stay on a temporary visa. • The point-based system that is present under the SkillSelect program. This program requires you to reach a certain number of points to be eligible for the Australia Permanent Residency. When you have a specific positive category, you gain an extra point. Like this, the points start accumulating, and you will be notified whether you are eligible for permanent residency or not. • You need to have a good academic background. Not only that but you should also be able to show the proof of your education. But educational skills are not the only things in consideration. You also need to have a particular ability in communicating with others, and this is very necessary. • You also should be in a good health condition otherwise you will be rejected after a medical examination. Your character should also be clean as the police will be running a background check. • A prior work experience is also a must in case of work-based visas. Before giving you Australia Permanent Residency. They will undoubtedly want to know how many years of experience do you have in that work. What are the top occupations eligible for Australia Permanent Residency? Australia immigration keeps updating its list of skilled occupations every year. This happens on a particular day of every year. And this day is the 1st of July. The Skilled Occupation List gives a glimpse into the occupations that are high in demand that year. If you are in the mining and industrial worker category. The jobs such as that of the carpenters, roof plumbers, tillers, and bricklayers are usually high in demand in Australia. These professionals can easily attain Australia PR eligibility. Several jobs related to the health and community services also stay high in demand during the entire year. These positions include those of the nurses, nursing assistants, child-care workers and other types of carers. Mechanical jobs such as those of the vehicle painters, auto mechanics, and panel beaters. These occupations are also popular for getting Australia Permanent Residency. Travel and tourism agents and hairdressers can even quickly get a job in Australia. If you are in the tech industry. Then you too have an advantage as Australia is in need of Software Programmers. So, now that you know the entire process of getting an Australia Permanent Residency. It should be a complete cakewalk for you. All you need to do is go through these steps correctly. Complete whatever directed in the steps and then you just have to wait for the decision to be told. Sometimes, it even takes 15 months to know what the final verdict is on your passport. Consulting a migration agent is entirely your choice. If you want you can do so otherwise if you are confident in yourself. Then you can do the process all on your own. Prospective immigrants can check Australia home affairs website for detailed information. Please like and share Australia immigration post.For queries and suggestion, write in the comment section. Hi my name is kanagamoorthi.I from India at tamilnadu.I am 31years old .Still working in abroad at Malaysia.next I Will move to Australia.